Who doesn’t want to visit the paradise of beaches? 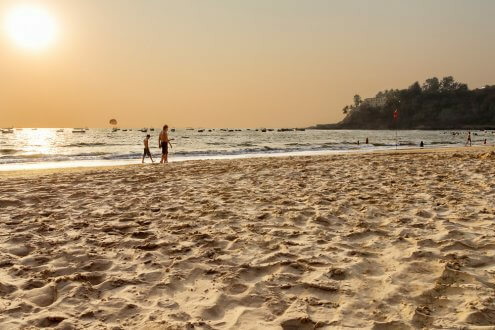 Goa, without doubt, has the best beaches and attractions that pull in both foreign and national tourists like magnets. This place also has a strange blend of western and traditional culture. There is both hard-core partying and divine serenity running through the veins of this city. You will find it crowed and bustling with life all throughout the year. 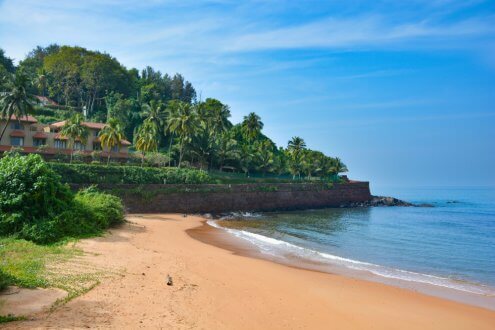 If you are planning a trip to Goa, then these are some must-visit tourist places that you cannot afford to miss. If you are looking for a trip down the historic memory lane, then Fort Aguada must definitely be on the list. 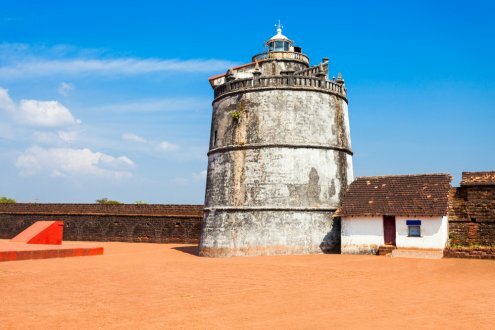 This 17 century fort is located near Sinquerim Beach, North Goa. This fort once stood as a strategic point of advantage against the Dutch and the Marathas. It boasts within its high walls, a jail, a 13-metre high lighthouse, and a cistern with a capacity of 10 million litres. If you want to soak into the atmosphere and get the best historic lessons, you should hire a professional guide. Sinquerim Beach is the definition of beauty. It lies adjacent to the Aguada fort. So if you are at the fort, visiting this beach will come in handy. The golden sand and the breath-taking waves make it one of the best photographic locations. 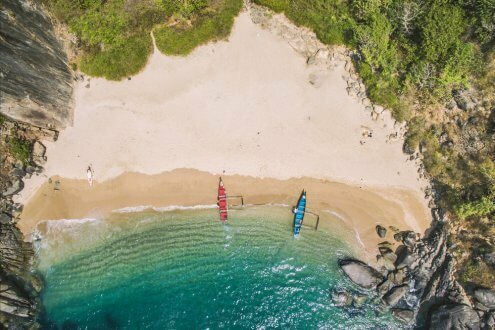 Apart from the scenery, this beach also boasts several water adventure sports. You can go snorkeling, parasailing or hop on some other water ride. 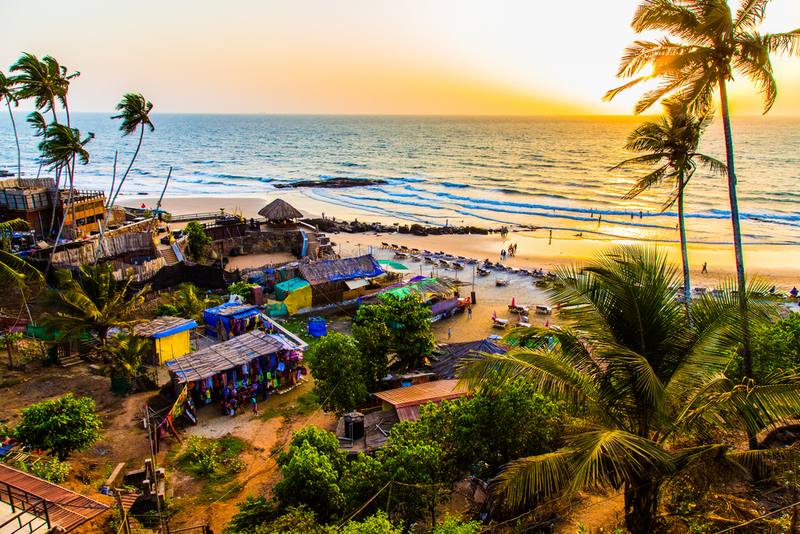 No Goa trip is complete without taking a soaking salt bath in the powerful waves and serene shores of the Baga beach. It is also a central hub for many beach parties and is one of the best places to enjoy Goa’s nightlife. The food here is amazing and the crowd is always energetic. For dancers, music lovers and hard-core party people, this place is heaven. It is extremely difficult to make a tourist spot list of Goa by adding only one or two beaches. There are a multitude of beaches that deserve to be on this list but we are adding only a few unique ones. The Butterfly Beach is not as popular as Baga. In fact, it is overseen by many tourists. But what makes the beach worth your time? It is calm, tranquil and exudes good vibes. And as the name implies, it is the home to several butterfly species. Churches and other religious sites in Goa are often filled with rich legacy and culture. 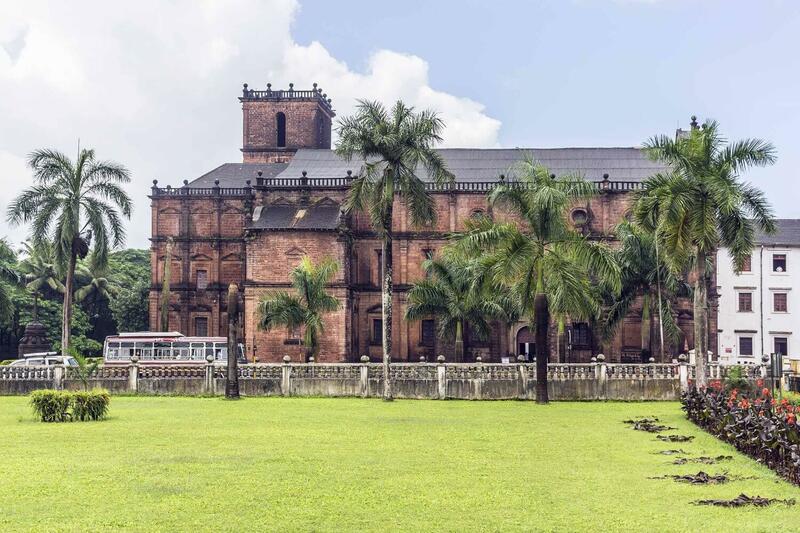 The Basilica of Bom Jesus is one such structure, which remains as a standing testament to the rich Portuguese architecture. This monument transcends the tag of a mere religious site and holds so much historical significance and beauty. It has the preserved remains of St. Francis Xavier. It has won the reverence of people and has been named as a World Heritage site. 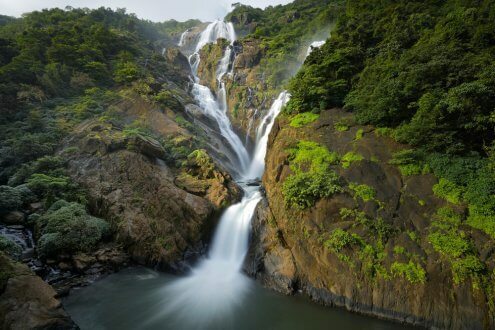 Dudhsagar roughly translates to ‘sea of milk’. And the name is so apt because visually, this 4-tiered waterfall looks like overflowing milk when it is fully fed by the monsoon. Though it is not possible to get a very close view of this falls, tourists can enjoy a pretty decent view from afar. There are many museums that you can visit in Goa. The variety of collections varies from art and architecture to historic relics. But this particular museum is quite unique. 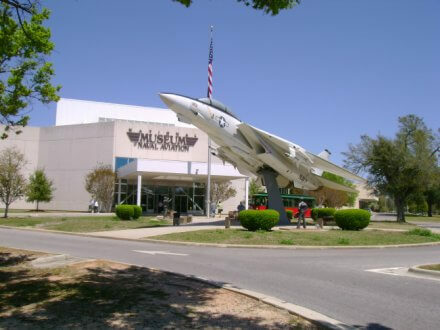 It is one of the very few museums in the world that is dedicated to naval aviation. It has a wide range of exhibits including aircrafts, bombs, parachutes and other defense equipment. 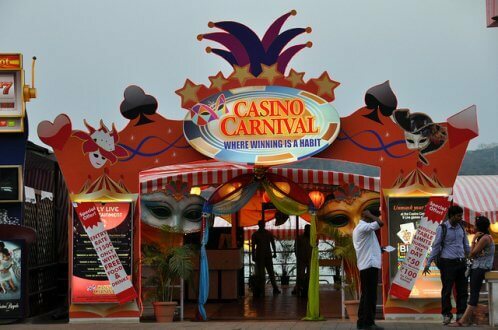 This is one of the Goa’s famous casinos. It is located in two places, in Goa Marriott, Miramar beach and on a boat in Mandovi River. This is a 24X7 casino that has activities that can cater all age groups. Whether you are there to play or just to enjoy other performances, you will definitely have a great time. 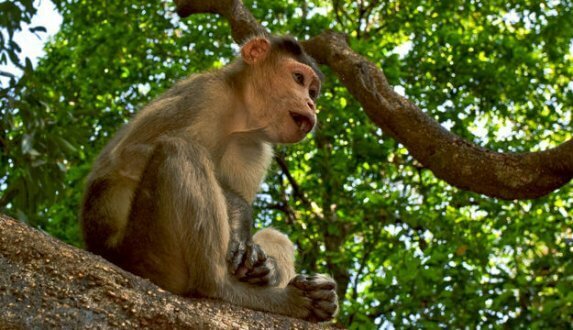 A jeep trek through this park gives an amazing opportunity to witness the flora and fauna of Goa. You will be accompanied by experts throughout the trip and there is only minimal walking. So this is a nice relaxing trip for your entire family. 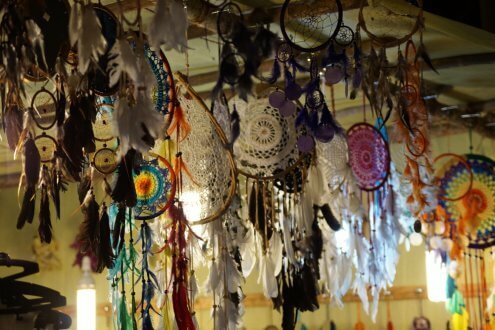 Once run by a few hippies, this market has now grown into one of Goa’s major tourist attractions. From food stalls and retail goods to live performances, this market lights up after 6 pm on every Saturday. To experience these amazing places book hotels in Goa today.